Adam Minter is an American writer who serves as an Asia-based columnist at Bloomberg View. In addition to his work with Bloomberg, Adam covers a range of topics for publications that have included Bloomberg BusinessWeek, Smithsonian, The Wall Street Journal, Time, The Los Angeles Times, National Geographic, The Atlantic, Foreign Policy, The National Interest, Mother Jones, Scientific American, ARTnews, Sierra, and many others. His first book, Junkyard Planet: Travels in the Billion-Dollar Trash Trade (Bloomsbury 2013) is a critically acclaimed and best selling insider’s account of the hidden world of globalized recycling, from the US to China and points in between. Adam has covered the global recycling industry for more than a decade. 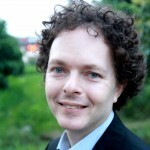 In 2002, he began a series of groundbreaking investigative pieces on China’s emerging recycling industries for Scrap and, later, Recycling International that were recognized, in 2004, with the first Stephen Barr Award for individual excellence in business feature writing, awarded by the American Society of Business Publication Editors. Since then, he has been cited, quoted, and interviewed on recycling and waste by a range of international media, including The Wall Street Journal, The Financial Times, Vice, The Guardian, and National Public Radio. He regularly speaks to groups about the global waste and recycling trade including colleges, universities, trade groups, TEDx, and a 2014 invited lecture to the Royal Geographic Society in London. Adam and his wife and son reside in Southeast Asia.. He is represented by Wendy Sherman at Wendy Sherman Associates.